Lord Tyrion is the imp son of Tywin Lannister in Game of Thrones – the HBO series written by George R.R. Martin. 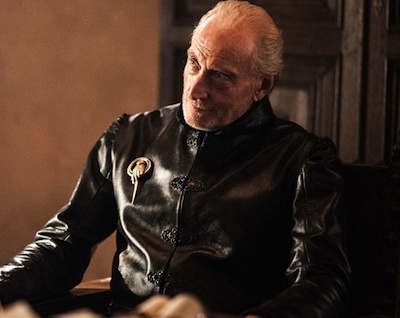 He was once Hand of the King to Joffery Baratheon when we was king, married to Sansa Stark, killed his father Tywin Lannister, killed his lover Shae, attacked, and kidnapped. Tyrion Lannister was then captured and shipped off to Daenerys Targaryen where Daenerys asked him to be the Hand of the Queen to her. Tyrion said yes. So Tyrion has become Daenery’s trusted advisor. 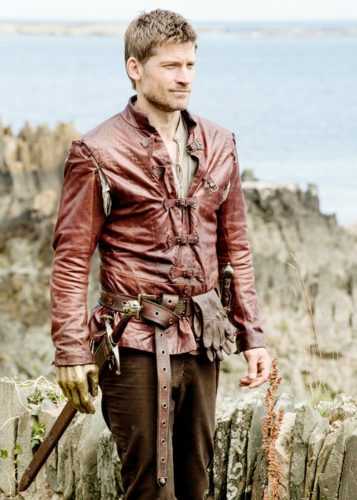 Below are costume ideas for Tyrion Lannister Hand of The Queen. 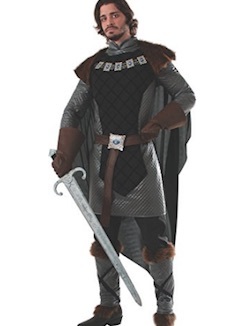 Click here for more Game of Thrones costume ideas. If you are Hand of the Queen, you got to look good for the part. 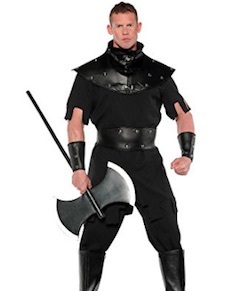 Hopefully you won’t look too menacing when you put this outfit on. But when you are the Hand of the Queen, you need to be ready for all occasions, including battling your brother on the field. 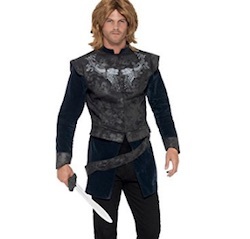 Click here to see more features of Tyrion Lannister Hand of the Queen costume. Being Hand of the Queen, you must be dressed like a warrior. 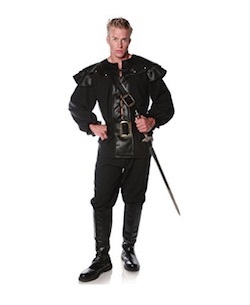 Tyrion’s black outfit on Game of Thrones. 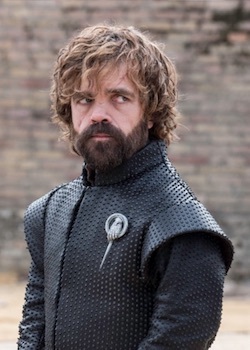 Click here to see more feature sof Tyrion’s black outfit on Game of Thrones. Tyrion found his way to Meereen to serve Daenerys Targaryen, and ruled the city in her stead. 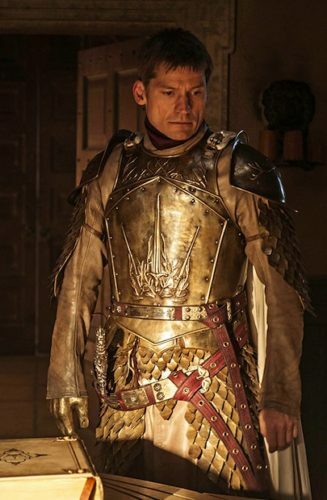 He was able to restore peace temporarily before dany returned to Meereen and crushed the Masters’ Rebellion for good. Grateful for Tyrion’s wise counsel, dany named him her hand. 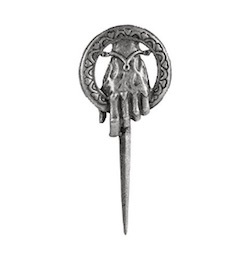 This replica pin, based on the original prop from game of Thrones, measures 3″ long and is made from zinc alloy. Click here to see more features of Tyrion’s Hand of the Queen pin.